I need to make a graph that charts data by person for multi-years by month. How can this be done and what type of graph is the best. 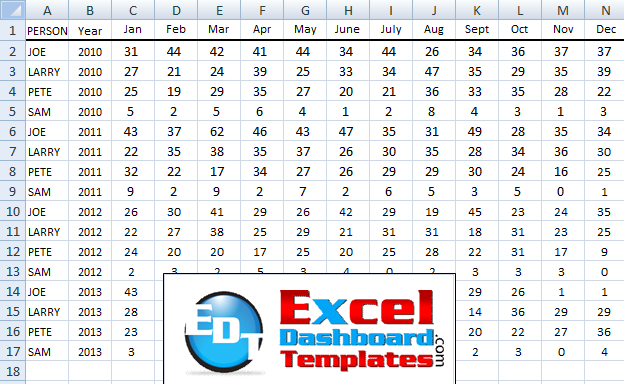 Download the sample data file and let me know how you would chart it in Excel. If you want to send me your file, simply leave me a comment below (don’t worry, your email will only be shown to me) and I will shoot you an email as to where you can send the file. My solution has been submitted.